Please digest this post and like me, join in and become a Ulogger today. #ulog is just one or two days old and has already created 811 ULOGS as manually counted by @ankarlie. This is magical. 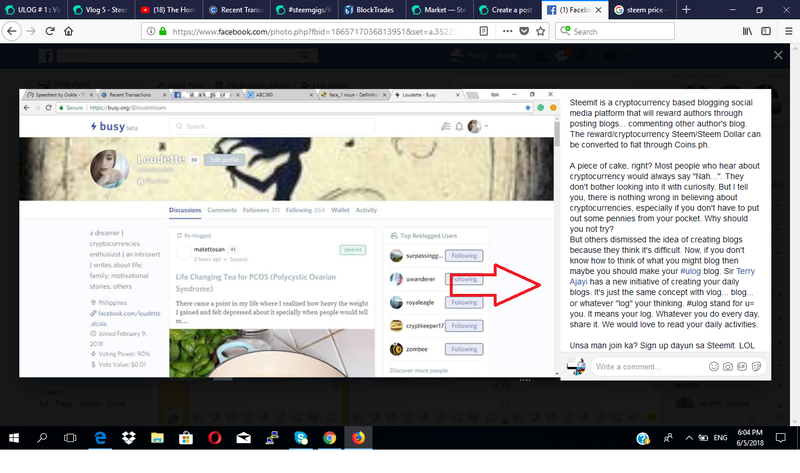 We are talking 811 steemit posts containing "YOU", served to the search engines, promoting steemit as a home; a real community and a place where you are allowed to be a ULOGGER. We are talking 811 steemit posts that are fresh, current, authentic and very "human". I don't have the complete data yet for the number of comments generated under #ulog, to give us insight into the level of engagement but i am in the community; "active" and i know the sound of #ulog and "it is buzzing". The sound on this #ulog is "excitement". Dormant accounts are waking up. It is a beautiful sight! Do You Want Some Glimpse Into This New Buzz And Excitement That Uloggers Are Creating? That ULOG alone has a thread of 55 comments. Today didn't go as planned and yesterday as well. Hahaha, because my yesterday entered into today and there has been too much busi-ness. Not much eating. Not much sleeping. Like normal, i had chats to tend to. Challenges to solve etc. A friend has been wanting me to re-visit Cebu, since the last time i visited some 12 days ago to attend the SteemSummit but i haven't been able to. Thus today, I decided to send him a small gift instead, once i got up from bed. That friend is a young boy. This boy can carry on "days of conversation" with me and we have maintain friendship because "intense conversation" is scarce where i am at etc. He got a hair cut too. Next, i had to tend to a chat, to help solve a steemit account issue. In this case, the account holder was thinking they got hacked but i doubted that to be the case and we fixed it. She could post, comment, claim rewards etc but she was having issues accomplishing a transfer or powering-up, so we sought on getting that tended to. She was using her posting key, which ofcourse is a good thing. We had her use her password instead and she was able to do her transfers as she desired. Next, i visited other chats too and shared in the joys and moments of a few. Then got on steemit.com. Well, on the steemit side of things, #ulogs have kept me extra busy in the past two days since it started. Ulogs kept turning up really fast and many new ULOGGERS born. This is amazing as #ulog is just a day or two old. This has kept me extra busy as i have spent this one or two days, thinking of ways to be more effective with reading ULOGS and inspiring Uloggers. I have also had to look at how to be more effective with curation and tried to speak to a few friends too, who love curating to consider joining in, during their spare time to look at "#ulogs". I am also already thinking of how i would craft ULOGS into a steem-based website, based on the feedback it has stirred. I am also thinking of how to get #ulog to trend in the real world and of how to grow steem further by saying to the world; "oh, you can now join steemit to become a Ulogger". #ulog has really buzzed and brought about excitement. It is evident that several steemians tire out a bit, which is okay. It is okay to "go into-the-box, only to come back out anew", which is what we have managed to do with the birth and on-going success of #ulog or #ulogs. Hahaha, i had way more curation to do and have had to spend time, thinking of how to manage this new tag with utmost efficiency. However, "help" has also been forth-coming as other amazing steemians with SP to spare have joined in, in curating the tag as well. Yes, there are still tons of curators who want to distribute rewards on steemit. Today, i got a chat from a friend who will later become a ULOGGER. He had spoken of how he had tired out as well as he no longer gets upvotes as much as he used to. He was going to restore his drive by becoming a ULOGGER later in the day. I gave him some insight into how the current state of the steemit community in relation to curation. In truth, curation is a hard task and curators are likelier to lean towards tags, where curation is easier to accomplish e.g if you are a "curator with a very busy schedule" and you still have to worry about whether a post was copy/pasted etc whenever you visit a particular tag, then curation becomes a more tiresome task. Hence, curators who fall in this category, will tend towards a tag that is likelier to produce more ready-made, authentic steemit posts etc. For curators with responsibilities, an upvote represents more than just a simple vote. It is an action of responsibility, thus, many other factors go into it beyond just "quality content". With @ulogs, we are trying to attain levels that will attract curators, to where every ULOG is on a white-list for being 100 percent original, authentic and fresh. Overall, we want to re-shape the internet with freshness and fill it with our very own evolution. "Each day, with "You" in it, carries its own freshness" and if we Ulog daily, we will be re-hsaping the entire internet with freshness. We aren't looking for convenience; that is not what birth @ulogs. We are "adjusting the world" and this is a hard feat but it starts with you digging of yourself and this is what a ULOG represents. True celebrities don't rest on their laurels; they evolve each day. 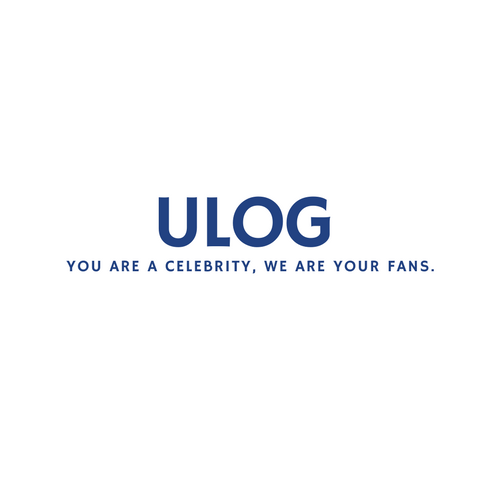 Now, if we are your fans, a ULOG is a "responsibility"; your responsibility to keep on, "true celebrity". We will look to celebrate ULOGGERS, who look to grow each day and ofcourse one who "digs". In a ULOG or "at least one post a day", you can now afford to be 100 percent YOU. Thus, if you are choosing #ulog, please make sure to have "#ulog" in your title and may pictures, images, Vlogs, videos, text, GIFs etc whether old or current, be your own creation. We need this, so that #ulog or #ulogs is kept for ULOGS only. Note that you don't have to change your regular steemit routine to become a ULOGGER. I planned on doing a more solidly arranged SteemGigs discord talk show this weekend but things changed. I am really sorry about this! ULOGS took most of my time in the last two days, thus, i wasn't able to draft out a solid arrangement for the talk this weekend. However, there is still an interval between this post update and the actual time of the talk, so we can still pull it off. We still keep it at 11 PM Manila time for today i.e around 3 hours from the time this post was published. Voice chats work better using the discord app as opposed to just visiting discord using your browser. So, kindly download the app if you are using a phone or tablet and the software if you are using a PC. The main aim of ULOGs overall is to bring about positive world adjustment, where each Ulogger consciously uses each day to evolve. Let's jump on the SteemGigs discord today, in a few hours, to discuss that, curation and more!!! The discord talk today can't be very organized once again but it is okay. We will work on that before the next talk. Today, we can all just talk. We can talk about ULOGS too. Plans for it etc. Then ofcourse, we can talk about anything and together build any noble dream. "The World Needs To Hear From You. Even Steemit Is Calling!" Now, You Can Answer. Create A Ulog. Become a Ulogger Today. I really am keen on making the SteemGigs community on discord one of the most active servers on Mama Earth in preparation for the future. It is approaching 4,500 steemians and now is a good time. I have loads of rare knowledge to dispense and i will like to share it. I will like to gradually celebrate each one. We are seeking coders/developers to help, by means of utopian.io or direct contributions. I would like to invite all coders/developers, to show up on our SteemGigs development channel. Note that on SteemGigs, "everyone has something to offer". At the very least, you can update your profile on our website to open yourself up to more potential possibilities and improve your general reputation even within the steemit community. To create awesome steemit posts, try our "un(dis)talented editor". "Everyone has something to offer!" Why not?